Creating In and Out points is one of the earliest parts of the editing process. However, there are often times when you wish to use multiple selections from the same clip – say for example, on a ‘talking head’ shoot where the camera was running and the speaker has said multiple useful things which all end up being part of the same clip. Well, there are solutions for this as well. 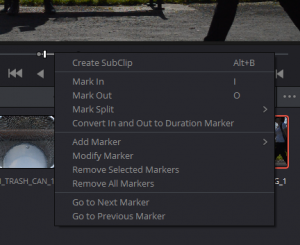 One solution would be to add your clip with your first selection to a timeline. This would keep that selection in place on the timeline and then free you to make another different selection on the original clip with new In and Out points which will not affect the clip already on the timeline and which can then be added again to the timeline using the new selection – this can be done as often as you like and is usually done in the ‘Edit Page’ which offers the same functionality for selections that you have in the Media page. 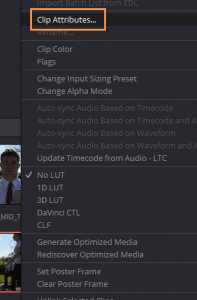 While a lot of people use this method and it works perfectly well, it can also make editing quite difficult at times if you need to change the order of clips once they’ve been added to the timeline. So, another option (which can be done both in the Media and the Edit pages) would be to use ‘subclips’ which can be created before the clip is added to your timeline by right-clicking on your selection and choosing the top menu item. This adds a NEW ITEM to your Bin. It has not created a new piece of media, it is simply another link to the same clip but only showing your specific selection. The new item created will have the same name as the original clip but with the word ‘Subclip’ at the end. 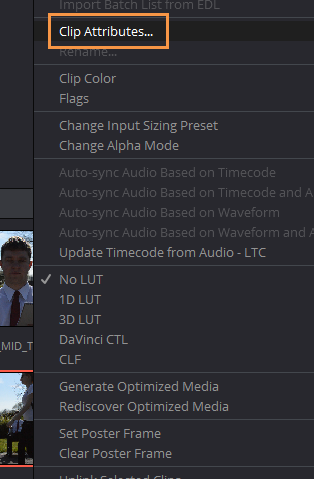 At this point, if you are going to create quite a few subclips and you want to stay organised, it would be really wise to change the ‘Display Name’ and add some additional metadata to the clip. 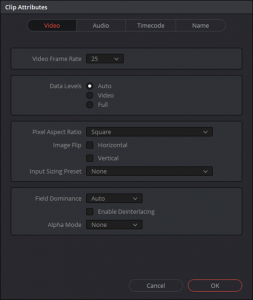 While this gives you lots of very helpful tools (including the ability to ‘Deinterlace’ a clip if you need to … by going to the ‘Name’ page you can change the name of the clip. However, this doesn’t really give you much additional information for the clip. (tip: when you create subclips, give them a number and a new name and write them down with a short description. Then, when you want to assemble them into a timeline you will find it easier to organise and find the clips.) 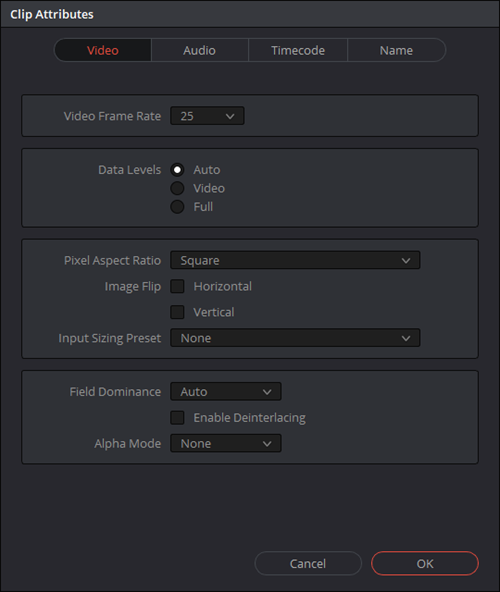 The other way to add additional information to your clips is to use the ‘Metadata’ panel which allows you to add lots of helpful info to your clips.